Fruit, Herb and Veggie Flavored Waters. Have you tried the commercially available flavor-infused waters by companies such as Hint, La Croix and Bai? I’m a big fan of the Hint still waters. The fizzy ones by La Croix are perfect as a soda replacement. Of course, I wanted to make my own refreshing flavored waters with no added sugars. On Amazon’s Prime Day in July, I scored a gorgeous glass pitcher with a built-in infuser for a great discount. This pitcher is easy to clean although it’s a bit tall like a carton of milk. 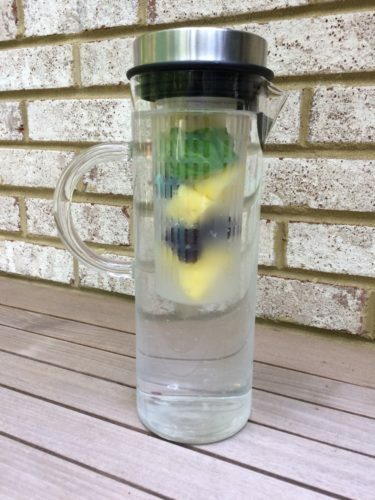 The nice part about the included infuser is that you can pack your chopped fruit/veggies and herbs into the infuser and then pull out just the packed infuser once the flavored water is ready to drink. Most flavored waters take a few hours to a whole day to fully infuse. 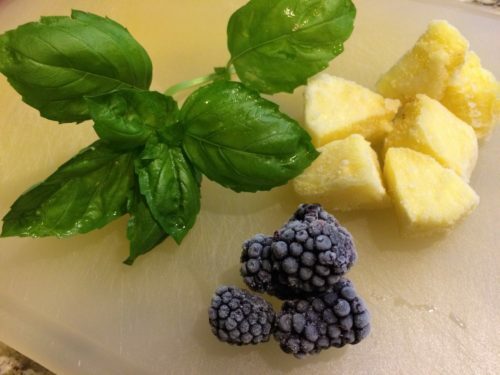 Do remember to remove the fruit or veggies and herbs as the water can become effervescent or taste “off” especially when you use fresh pineapple. You can use those “no longer pretty” fruits and veggies. 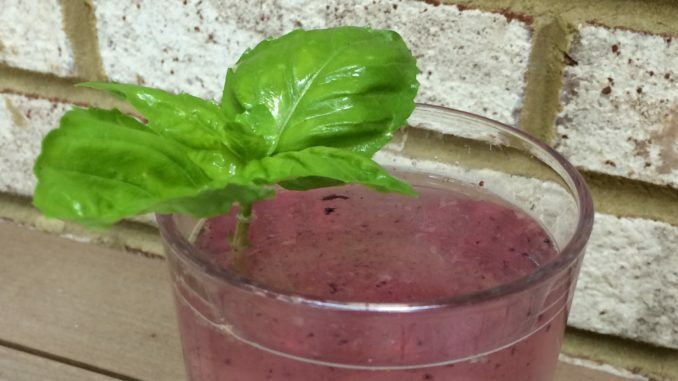 But do use fresh herbs that haven’t started to wilt or get slimy. Also, be sure to use the flavored water within a few days. 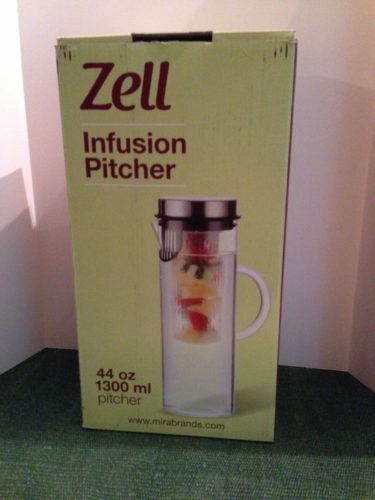 The Zell Infusion Pitcher that I ordered was fairly inexpensive for its quality. 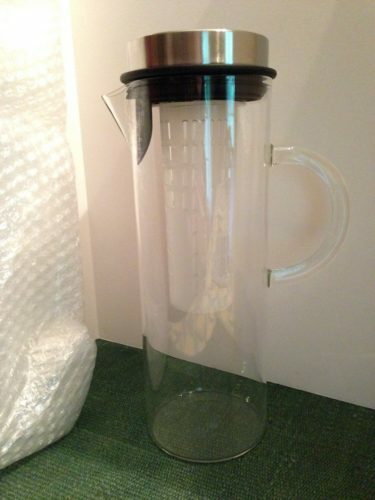 I wanted a glass pitcher although the infusion insert is plastic. The cover fits well. There is a built-in strainer built-in with the infusion insert. I worried that the glass handle would break but this is a pretty well-made pitcher. 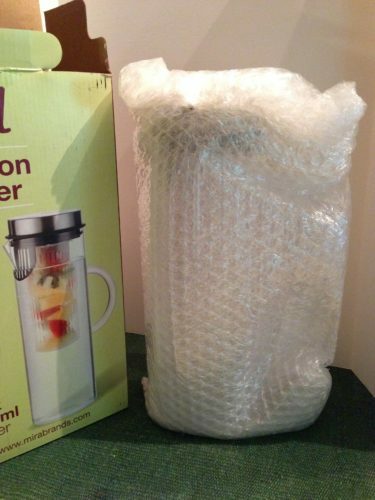 It was well packed with bubble wrap. To make flavored waters, just pack your fruit or veggies and herbs into the infuser, fill the pitcher up with water, lightly muddle the fruit/veggies/herbs with the handle of a wooden spoon, add the cover, and let sit on the counter or in the fridge for a few hours. 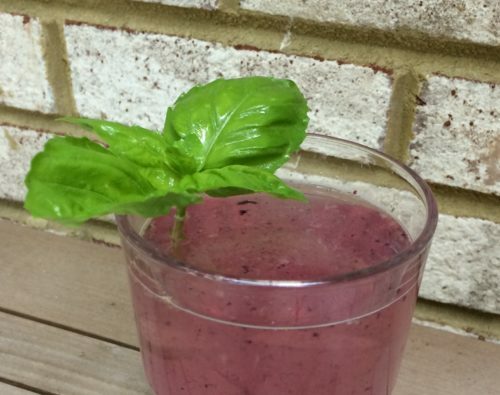 I selected fresh pineapple, frozen blackberries, and fresh basil for the photos in this recipe. Remove the fruit or veggies and herbs and then refrigerate the flavored water for up to three days. And then serve the chilled flavored water! Place the fruit and/or vegetables and herbs into the infuser. Put the infuser in the pitcher and muddle the mixture a bit with a butter knife or the handle of a wooden spoon. Fill up the pitcher with water. Let the pitcher sit for a few hours and then remove the fruit and/or vegetables and herbs. Refrigerate for up to a few days. Serve chilled. Use a fine strainer if you want a clearer water. Makes a pitcher of tasty infused water. Volume depends on the size of your pitcher. Variations: Tons of variations. 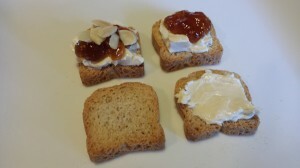 Mix up the ingredients above for your favorite flavors. 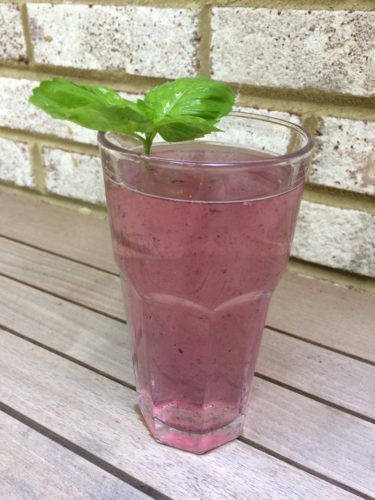 See if you can find orange mint or chocolate mint plants and just infuse the water with the mint leaves only for a refreshing beverage.